Speaking ahead of the Republic of Ireland soccer match this evening where a protest by fans is anticipated, Solidarity TD Ruth Coppinger called on the FAI to make a full statement on reports that they paid former Chief Executive Officer John Delaney €3,000 a month rent on a house at a time when their employees were told a temporary pay cut could not be restored. Deputy Coppinger is a member of the Oireachtas Transport and Sports Committee and will be questioning the FAI when they appear. Her call came as reports indicate that a significant number of Republic of Ireland soccer fans may be planning a “tennis ball protest” at tonight’s international match against Georgia to show opposition to the FAI’s decision to appoint Delaney to an alternative post after his weekend resignation from the Association’s CEO position. FAI workers were subjected to a temporary pay cut of 10-15% in 2012 with the cut only reversed in January 2019. Yet the Sunday Times reported at the weekend that the FAI paid Delaney’s €3000 a month rent costs on his Wicklow home from 2016. Yesterday the workers issued a strong statement through their union, SIPTU, demanding an explanation from the FAI. 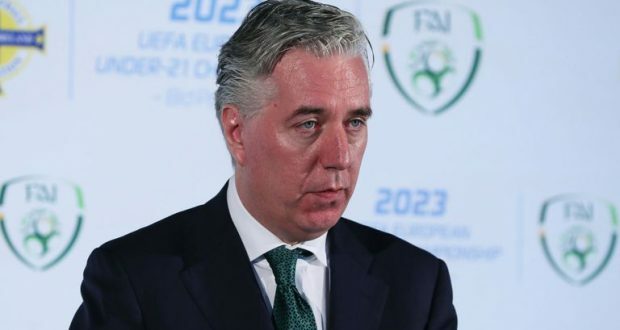 Ruth Coppinger said: “The FAI should be made open their books for inspection by the workers’ representatives to reveal all their financial dealings over recent years and show where every single cent goes. This includes all of John Delaney’s expenses. “A regime where the CEO can have his rent bills covered while staff suffer big pay cuts has to end. The best way to end such a regime is not just to sack Delaney but to replace a regime which has resembled a feudal lordship with a democracy where the Association board is dominated by elected reps from the fans, the volunteers, the players and the workers.